The latest edition of ElTenedor Restaurant Week, held from 25 October and 18 of November, He managed to raise about 50.000 € to alleviate child poverty in our country. This figure is added to the collected in the April issue, what makes the leader in online reservations app intended in 2018 almost 100.000 € program Here too NGO ActionAid. All this aid to the NGO Action Aid benefit over 600 children in Spain, who now may have their food needs fully covered during the school year 2018-1019. More of 500 restaurants took part in the latest edition of Restaurant Week ElTenedor, a 40% more than in the April issue. further, reserves grew 30% regarding the issue 2017 and about a 10% regarding this year. Last 18 of November, the fifth edition of ElTenedor Restaurant Week he said goodbye, and did it in style. 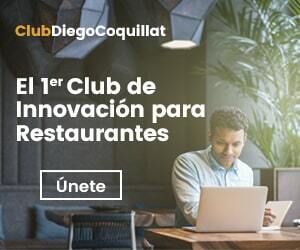 this initiative, in which involved more than 500 Madrid restaurants, Barcelona, Valencia, Málaga, Sevilla and Palma de Mallorca, He managed to raise about 50.000 €, which they will go to the NGO ActionAid and its "Here too”, He is working to support the most vulnerable children in our country. Specific, collaboration ElTenedor and Action Aid will serve to provide scholarships and grants for dining feeding children belonging to more than 90 schools that are part of the program. The figures obtained not only exceed those obtained in the Year Edition 2017, but also the last edition held in April this year. The participation of more than 500 restaurants six cities mentioned, those who joined well over 90 Paradores Network, meant increased 40% regarding the April issue of 2018. Likewise, reserves grew 30% compared to last year, and about a 10% compared to the April issue. Among the most reserved restaurants in this edition, They have highlighted La Huerta de Tudela, DOMO by Paco Roncero, Ice and Coal , in Madrid; in Barcelona, Ikibana Sarria, Indochine Ly Leap Y Blau BCN by Marc Roca; Taberna Gomez Y Ameyl, in Valencia; Arte y Solera Y Azahar, In sevilla, Y Montana and the Meson de Cervantes, In Malaga. The two editions of ElTenedor Restaurant Week have managed to raise almost 100.000 €, an amount that will be dedicated to the program Here too NGO ActionAid what, through a network of around 90 schools and local authorities in 12 autonomous communities, reaches almost 11.000 children vulnerable and risk of social exclusion, and their families. Thanks to the collaboration of ElTenedor through the Restaurant Week, can be accomplished program objectives: encourage equal opportunities in education, improve healthy living conditions fighting malnutrition and encourage integration of families in their communities through tools that drive their personal and professional development. More of 600 children from all over Spain have covered all their food needs during the academic period 2018-2019 Thanks to this initiative ElTenedor. Inma Martin, Here also responsible for the Program, states that "the amount collected by the Restaurant Week we respond to needs not covered by the public aid system: school feeding supplement scholarships cover spaces and conciliation as early morning or late afternoon ". And is that "thanks to two Restaurant Week that, for the first time, They have been held in Spain this year, ActionAid has managed to cover the 50% of the costs of food that has needed the most vulnerable children of this social program”, assures Marta Marañón, Director of Institutional Relations of ActionAid. Marcos Alves, CEO de ElTenedor, He wanted to thank the support received in this last edition ElTenedor Restaurant Week. "We are very pleased with the results achieved in the two editions, for the first time, we celebrated in 2018 and that has enabled total we raised about 100.000 € for ActionAid. For us is a challenge the fact continue to grow in each edition, and we thank all who have made this success possible, both restaurants and diners, once again they have contributed and supported this joint casus which is to combat child poverty ". Restaurants Paradores network for the first time participated in this initiative. Javier Blanco, Head of Marketing, believes that "Paradores, participate in such actions means the union of two large blocks of our corporate mission: to publicize the regional cuisine and contribute to improving the environment around us. We are a strong company committed to social responsibility ". Madrid also Haroma, Chef Mario Sandoval, She has participated for the first time in the Restaurant Week ElTenedor. As José María de Acuña highlights, Head waiter and sommelier Restaurant, “ It is an ideal way to enjoy and they know what we do ". Blanc Restaurant, Mandarin Oriental Hotel Barcelona, It has added another edition of this initiative. Its Director of Communications, Monica homed, notes that "We are delighted to participate once again in action Restaurant Week menus with our solidarity and contribute our bit in favor of ActionAid while gastronomy join to bring the city ". Such has been the success of the participation of Madrid La Huerta de Tudela, as explained by its director, Ricardo Gil, "We are very pleased with the result of the Restaurant Week, It has since provided a new way of spreading our cuisine and have made an impact on new public. Such has been the impact, we have decided to temporarily implement the menu in our letter. We must also emphasize the purpose for which it was carried out the action, the caring side. To contribute a portion of our profits to ActionAid "
For Restaurante Azahar Seville, “It has been proud to collaborate on this initiative. We believe it is essential to support it, and not only to publicize our kitchen, but also to get a little closer to a reality increasingly latent. We want to thank the team ElTenedor, because we consider it a great action to repeat”, Ruth says Mazón, director of Hotel Hospes Las Casas del Rey de Baeza. In this sense, Yolanda Molina, director of the Valencian restaurant Ameyal, also it states that “This initiative is a value in itself, because it makes the restaurants return to society what this gives them. The best things in life happen around a table, so it is the perfect setting to show both personal commitment as a business establishment at all times ensures the construction of a better world. The Restaurant Week ElTenedor it seems an act of great significance, because big changes in society begin with a small gesture, collaborate through a lunch or dinner in promoting dignified life of our fellow”. Definitely, an initiative which once again served as a showcase for our food, but more importantly, solidarity managed to sit at the table.